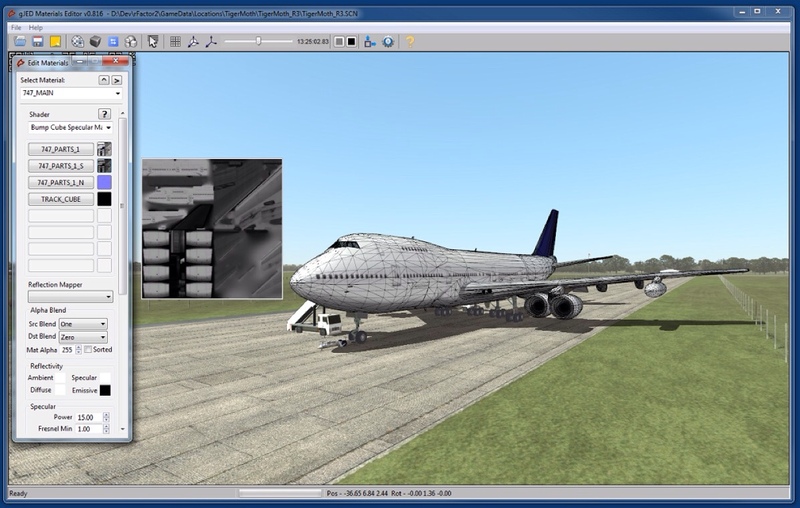 Image Space Incorporated have announced a new modding tool called gJED, a new mesh & materials property editor for applications based on the studio’s popular gMotor 2 engine. gJED allows for real-time editing of gMotor2 content created by in any content editor which can export FBX files. The new tool is meant to free content creators from having to work with 3DS max and gJED is a real-time DirectX application that has been built using the same engine and shaders as rFactor 2. According to the IMS gJED will be available for release in a few weeks. "Today we would like to announce gJED, an effort to remove the reliance on 3DS Max as the only tool for rF2 modding: "Probably a few weeks from release, it's time to talk about gJED, a new mesh and materials property editor for gMotor2-based applications. gJED allows for real-time editing of gMotor2 content created in any content editor which can export the FBX file format. "Content creators are no longer tied to a single platform (3DS Max). gJED is a real-time DirectX application built using the same engine and shaders as rFactor2, and therefore has most of the same graphical options as rFactor2. Much of the operation of gJED is similar to that of the latest gMotor2 plugins for 3DS Max." With the release of rFactor 2 Build 1008, we’ve included the latest version of gJED in the SupportTools folder. Quite a few bugs and occasional quirks were addressed. Point the Shader Path to CoreShared or integrate it into your usual SDK folder structure.